The Jewish Federation of Greater Pittsburgh will honor 19 local educators from early childhood centers, day schools, and part-time religious schools at the Jewish Federation’s Unsung Jewish Heroes celebration. The event will praise the hard work of the individuals who have provided outstanding Jewish education to the community. The celebration will be Sunday, June 11, 10–11 a.m., in Levinson Hall, Jewish Community Center of Greater Pittsburgh (Squirrel Hill), 5738 Forbes Ave., Pittsburgh 15217. The Unsung Jewish Heroes Awards, presented by the Federation, recognize local educators, staff or volunteers who make a lasting impact in Jewish education. Recipients may serve children, youth, families or adult learners. The Harold Grinspoon Awards for Excellence in Jewish Education recognizes skilled, innovative educators in day schools, religious schools and early childhood centers. This year marks the 17th year the Harold Grinspoon Foundation has presented an award to an educator in up to 80 North American communities and has recognized over 700 outstanding educators in the U.S. and Canada. Honorees are nominated by the organizations they serve. In Pittsburgh the award is supported by the Barbara and Lester Parker Fund for a Jewish Future Endowment. This endowment is part of the Jewish Federation of Greater Pittsburgh’s Jewish Community Foundation. On June 11, at the Unsung Jewish Heroes event, Barbara Parker will present this year’s award. The Pittsburgh recipient of the 2017 Grinspoon Award is Ellen Drook, an early childhood educator at Temple Emanuel Early Childhood Development Center (ECDC), where she teaches kindergarten enrichment. The award recognizes Ms. Drook as an early childhood educator who caters to young children’s needs, listens to their interests and works diligently to make an impact on their educational experience. Instead of using the same curriculum each year, Ms. Drook collects ideas for projects from the children and from real-life experiences. She follows the children’s cues to indicate time spent on a project and is attentive to the classroom environment and its impact on learning. In order to improve classroom communication with parents, Ms. Drook created a classroom blog that includes photos, classroom activities, examples of the children’s work and links to educational resources to strengthen the connection between the early childhood center and homes. Due to the positive feedback from her classroom blog, the practice has expanded throughout the ECDC. She has designed individual classroom blogs and provided trainings for early childhood educators at Temple Emanuel ECDC. Beginning next year the Federation will present the Grinspoon Award at a newly designed teacher appreciation event for all Jewish educators in the community. The Grinspoon Award nominees will rotate each year, among part-time congregational schools, day schools and early childhood centers. 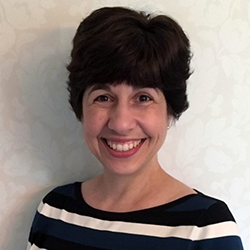 At the June 11 Unsung Jewish Heroes celebration, Rabbi Amy Bardack, director of Federation’s Jewish Life & Learning department, will serve as master of ceremonies. Light refreshments will be served. (Kosher dietary laws observed.) The event is free; registration is requested. For details or to register, contact Christa Maier at 412-992-5249 or cmaier@jfedpgh.org. A complete list of the 2017 Unsung Jewish Heroes Award honorees and their organizations are available at www.jfedpgh.org/UJH2017.